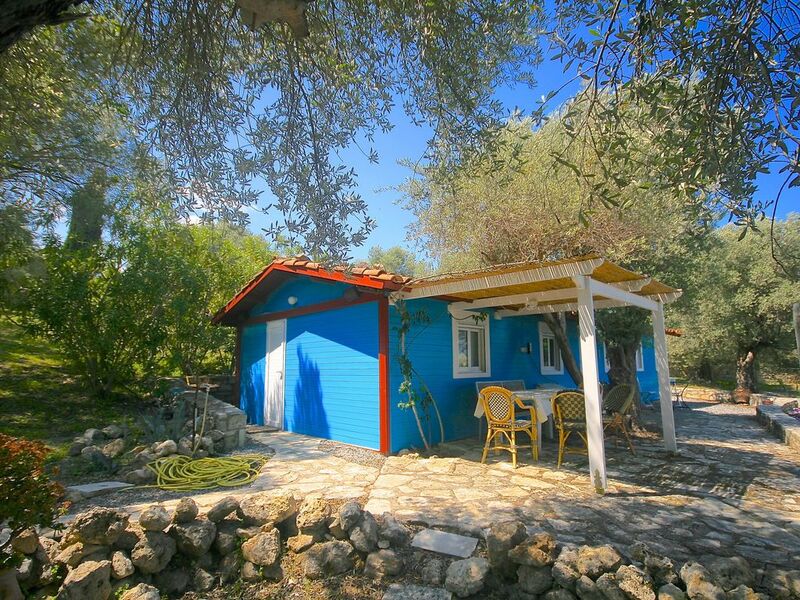 Small house of charm with panoramic sight on the sea which is to 3 km (as the crow flies) belonging to a private field including/understanding 3 completely insulated houses and independent one of the other each one with its private swimming pool (the pink, it yellow and presented here: the blue one). Very calm place without neighbor, any comfort, decoration looked after, large terrace of 80 m2 with private swimming pool of 7 X 4 meters and a private garden of 12.000 m2. Our website : www.bollana.com to see many details. Windows with double glazing and shutters.We ask a package of 50 € for the supply of bed sheets, baths and the complete cleaning of the house when you leave. Short stays allowed out of season. The estate of Bollana includes a second totally independent house (the pink house) for 7 people. You can find the advertisement 6180459 relating to it. The Wifi ID will be communicated to you when entering the premises. Thank you very much. We hope to see you again in Bollana. "aménagement extérieur superbe (piscine et coins repas) ; équipement sommaire , suffisant pour 4 adultes( un peu juste au-delà), pas de lave-linge; challet en bois , sans isolation phonique entre les différentes pièces ;location très tranquille, à 15 mn de Réthymnon ; excellent séjour ; très bon accueil"
"Bollana/Maison bleue is een erg praktisch ingericht, proper en smaakvol houten chalet. Met veel vogels, mooi uitzicht op zee, tussen eeuwenoude olijfbomen. Heel rustig en vrij. Gelijkvloers van bed tot zwembad. Was handig na een heupoperatie. Kostas is een discrete, behulpzame concierge, die iedere dag even langskomt, voor zwembad en vragen. Hij is onmisbaar om je te helpen de eerste keer Bollana te vinden. Toegangsweg slecht geplaveid, maar bij stapvoets rijden geen probleem. Afstand tot winkel en restaurant veel groter (>3km) dan vermeld (1km), dus daar kun je niet even naar toelopen. "Magifique endroit calme et reposant. Nous aavons passé une semaine formidable, la maison est très bien entretenue, tout y est pour vivre confortablement." "Seul bémol à la clef: les moustiques en grand nombre à cette période de l''année"
Take the highway of Rethymnon on 60 km then direction of the village of Rousospiti on 4 km. The property (which is a family property of 12.000 m2 ) is accessible starting from the village by a private way from 1 km which goes down towards the sea.